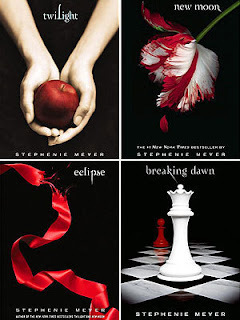 How could the 12 Days of Fictional Boyfriends pass without one of us mentioning Edward Cullen? I don't think I need to describe him to you. Anyone who claims to be a "Book Nerd" should be WELL aware of Edward, but here it goes. He is described as exceptionally good looking, but that is the least of his desirable qualities. He is strong, loving, immortal, well read, appreciates music, and is sensitive to Bella's needs. He quotes poetry, plays the piano, and listens to classical music. Throughout the series, I was fascinated with how well spoken he is. I would read and re-read just about every conversation he had with Bella. While some may say that he is overprotective and controlling, I felt that he was simply trying to do everything within his power to protect her. He loves Bella with every part of his being and would go to the end of the Earth for her. He wanted nothing more than for her to be happy and to have every life experience that he was not able to enjoy as an immortal. How could anyone not love a man who writes you a lullaby and sings you to sleep? Edward is not only a vampire, but he has an exceptional talent. He can read minds, with one very significant exception...Bella's. This proves to be extremely useful in sensing impending danger as well as communicating with the wolves, Volturi, and others throughout the books. He also dazzles, sparkles, and has morals...which many characters today are lacking. He held onto his "virtue" for over 100 years just waiting for "his Bella" and is determined to protect hers until they are married. "Charlie, I realize that I've gone about this out of order. Traditionally, I should have asked you first. I mean no disrespect, but since Bella has already said yes and I don't want to diminish her choice in the matter, instead of asking you for her hand, I'm asking you for your blessing. We're getting married Charlie. I love her more than anything in the world, more than my own life, and - by some miracle - she loves me that way, too. Will you give us your blessing?" Here are some great quotes from throughout the series. "I wouldn't use the word beautiful. Not with you standing here in comparison." "Of all the things about me that could frighten you, you worry about my driving." "I’m the world’s best predator, aren’t I? Everything about me invites you in — my voice, my face, even my smell. As if I need any of that!" "You are the only one who has ever touched my heart. It will always be yours"
"I bit a pillow. Or two". We then find out that the room is filled with feathers. "I don't know...I've already mangled the headboard beyond repair - maybe if we limit the destruction to one area of the house, Esme might invite us back someday."